Posted on September 5, 2017 at 12:45 pm. Poker machine operators in regional Australia have experienced a decline in revenue due to the introduction of cashless welfare cards. 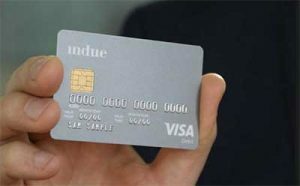 The cashless card has been trialed in East Kimberly and Ceduna South Australia for over a year and has also been tested in West Kimberly and Kalgoorlie. Welfare recipients have 80 percent of their welfare payments transferred to a Visa card, which cannot be used to gamble or buy alcohol. It can be used to purchase food, clothes and other basic necessities. Due to the success reported in the Cashless Debit Card Trial Evaluation final report, the program will expand to new areas. According to the report, a 12 percent decline in total gambling revenue was recorded in Ceduna and surrounding local government areas since the trial commenced in April 2016. The total equates to $550,000 less spent on poker machines and in other gambling venues. He added that the cards are an act of love, preventing people who abuse alcohol and drugs and problem gamblers from being enabled. But pokies operators aren’t feeling the love, with venues taking a hit on their total gross gaming revenues as the welfare program is rolled out in more regional communities. While initially supporting the cashless welfare program, several Indigenous leaders have withdrawn their support due to empty promises. The program is mandatory for welfare recipients who can now only withdraw 20 percent of their payments to limit their ability to buy alcohol and illegal drugs – a prevalent problem in Indigenous communities. The government promised Indigenous leaders support services to compliment the scheme in exchange for their support. But those services never saw the light of day. Despite the unfulfilled promises, Minister for Human Services Alan Tudge said he commends the Indigenous leaders “who put their hands up” to work with him and the government to implement the program. “They’re the ones that show the real courage here,” he said. He added that it is amazing what you can achieve with strong leaders who are willing to take action. “We’re seeing the results now,” he said. Labor has been hesitant in supporting the welfare program, with Leader of the Opposition, Bill Shorten stating that he can see both the positives and drawbacks. “The one thing I know about trials is they have to be genuine trials,” Mr Shorten said. “We have to make sure that the community supports it. We have to make [sure] if people are suffering from addiction there is all the support to help them break the cycle of the addiction, as opposed to just the heavy-handed terms of this card. “Labor is going to wait until we see all of the results. “We’ve got an open mind but the community has got to want to support it.